What's going on? 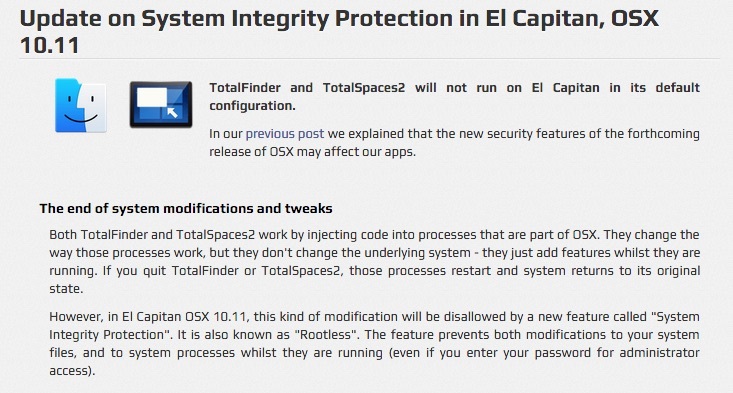 It's SIP (System Integrity Protection, also known as "Rootless") in the latest OS X. It protects /usr, /bin, /System, and /sbin from writing, even by root. It also won't allow you to debug certain protected system processes and you cannot use unsigned kernel extensions at all. Of course this is good for system security, but it has also killed some apps outright and caused major changes in others. In some cases, you can still use the app by disabling SIP, installing the app and then renabling SIP. You do that by booting into the Recovery partition and using the csrutil tool. Most of us won't need to be concerned about any of this.